Three years is a long time in the automotive world. In the same amount of time when the typical car financing matures (or warranty expires), a once great product can get left behind or worse, be forgotten in the minds of would-be buyers and consumers. This is especially true for the compact crossover genre—a segment that’s seen about a dozen competitors, not even counting the mid-sized SUVs that have all popped up since then. Now, imagine if your company is reliant on such a product, accounting to more than 50 percent of sales in the process. Keeping a slight edge could very well determine survival. Imagine then the weight on the Subaru Forester’s shoulders. Three years have been very kind to the Forester and up to now, it’s still one of the most interesting and fun-to-drive crossovers out there. That’s not to say it’s pretty. In fact, it’s pretty bland and getting dated. Still, what it lacks in styling gravitas, it more than makes up for in function. The basic ingredients work wonders for practicality. The squared off styling and large greenhouse ranks it number one in terms of visibility with minimal blind spots in any angle. The large doors and low sills also make for the best ingress/egress in its class. 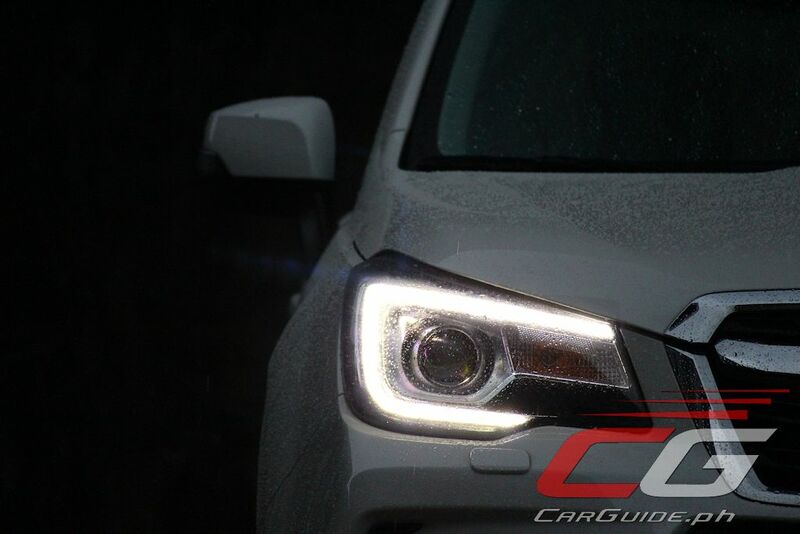 And now, by adding swiveling LED headlights and tail lights to the mix, nighttime visibility and safety has been improved tremendously. The only change done for aesthetics purposes is the new design of the 18-inch alloy wheels which go for a more premium rather than sporty vibe. 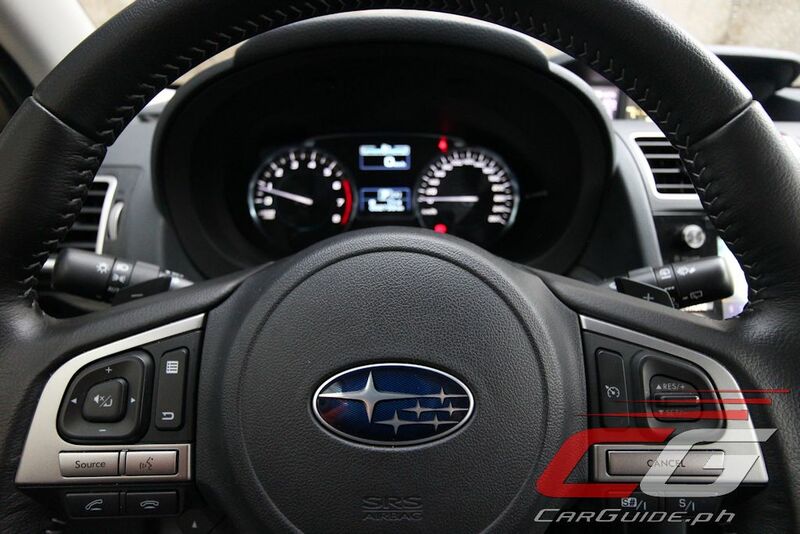 That sets the stage for what Subaru’s doing with the refreshed interior. Three years ago, the Forester made the case for an easy-to-understand, well-wearing cabin. Today, it keeps all that while addressing the most glaring thing lacking: a premium feel. 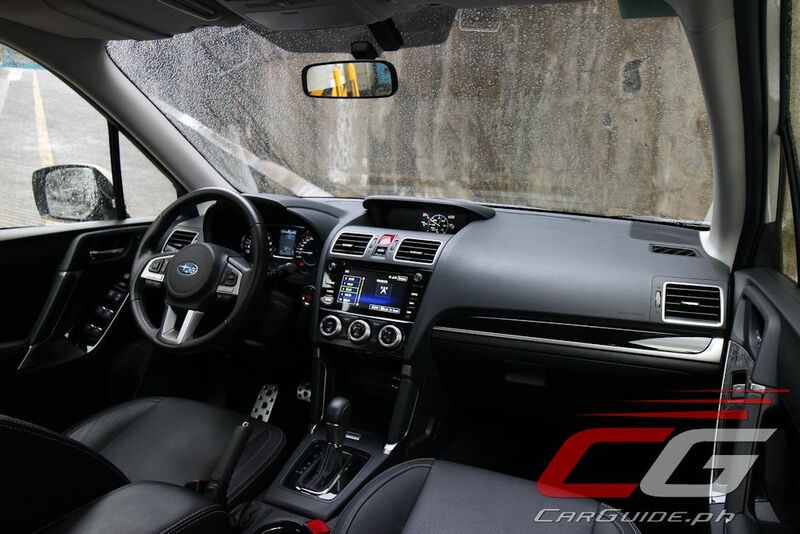 Today, the Forester’s cabin still isn’t going to win any accolades aesthetically, but small changes have been done all to improve various touch points. The steering wheel and gauges are easily the two best additions; taking on a techy feel while having the graphics, menus, and voice commands actually work as advertised. Digging deeper, the windows switches and climate control knobs have a more damped feel surrounded by the de rigueur and sadly, scratch prone piano black accents. 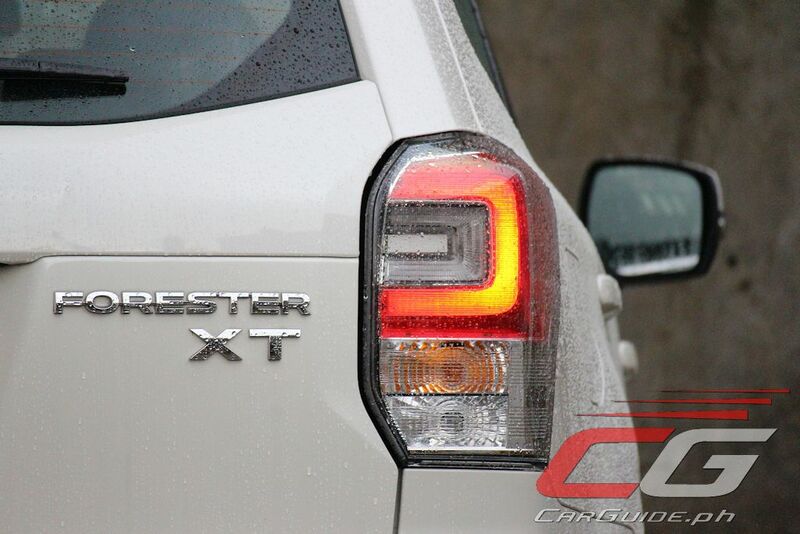 Compared to other compact crossovers, the Forester is by far the most practical. Apart from the stellar visibility, it also has excellent space front or back. 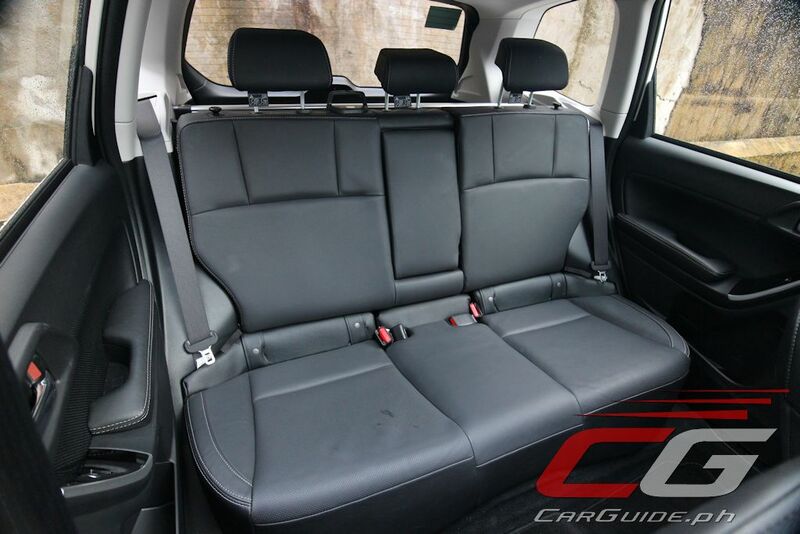 The front occupants are treated to generous leg, shoulder, and most notably, headroom than any other in its class. The rear is also a great place to be in. Kids will find climbing aboard easier thanks to a sill plate with an anti-slip design and once inside, it’s got all the space three or even four adults will ever need. For those carrying cargo, the low loading height paired with the powered (but slow moving) power tailgate is a boon. In terms of driving position, it’s great with all the controls within easy reach while also allowing for ample adjustment to accommodate any body size (it even has memory settings now for the driver). The only let down is the seat cushion itself. They’re just too flat to be considered comfortable. For 2016, the Forester’s drivetrain remains pretty much unchanged, and given the stout power and torque figures, that’s entirely forgivable. It offers nice, punchy performance even from the get-go. Like any other Boxer engine, it’s smooth, refined, and free from unwanted vibrations. Plus, thanks to additional sound deadening, it’s much quieter even at high speeds. That said, the power delivery isn’t linear by any account. 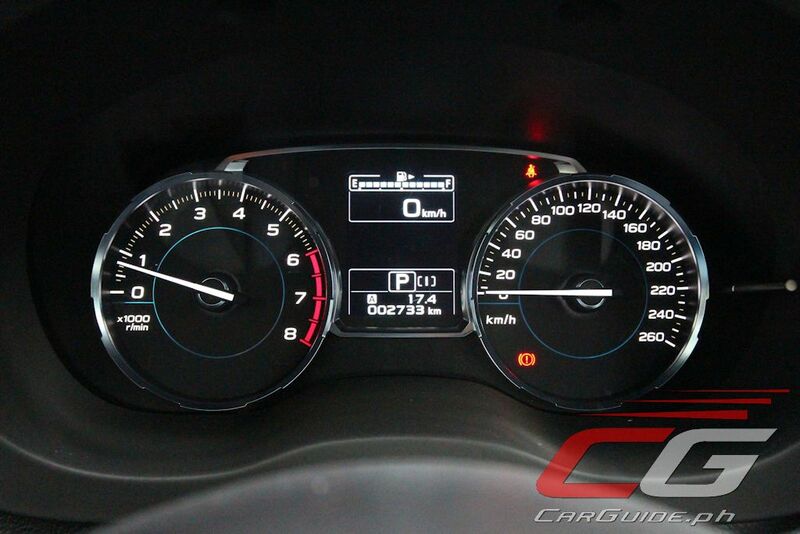 This is most felt when the Subaru SI Drive is switched to the default ‘Intelligent’ mode. Power comes in like an off/on switch which makes traffic crawling extra stressful. The jumpiness manages to iron itself out; turning more tractable the moment ‘Sport’ mode is engaged. The neutered performance in ‘Intelligent’ mode does come with a welcome side effect and that’s in the realm of fuel economy. 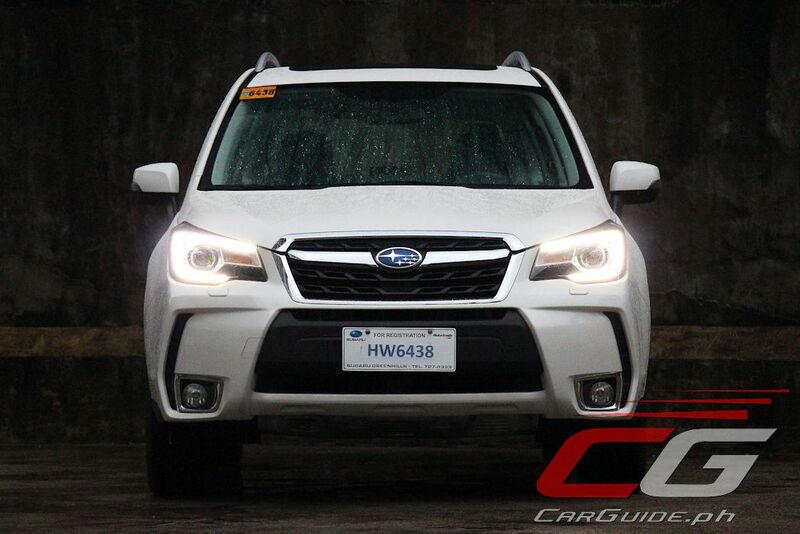 Despite the turbocharged engine and full-time all-wheel drive, the XT still ekes out 6.94 km/L in heavy traffic (average speed 16 km/h) and 13.16 km/L on the highway (average speed 69 km/h). 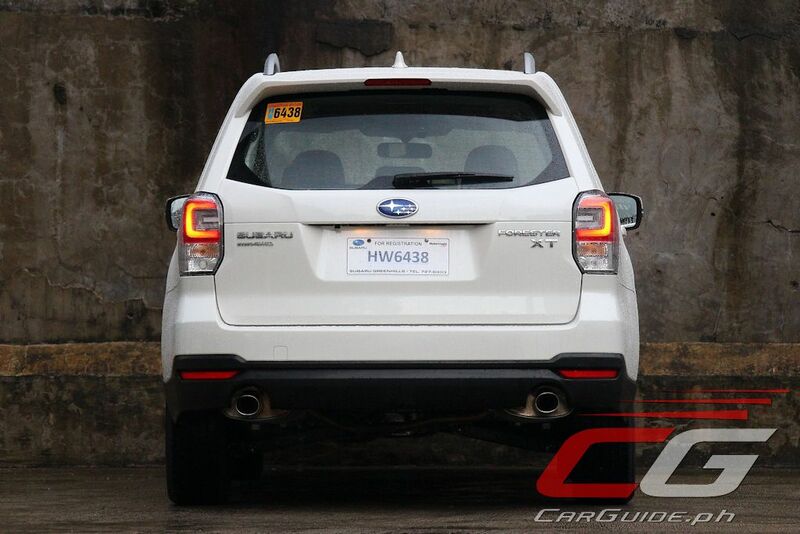 The XT already differentiates itself from its non-turbo siblings with its stiffer spring rates and tweaked dampers. But this year, those go hand-in-hand with the addition of Active Torque Vectoring and a quicker steering ratio. 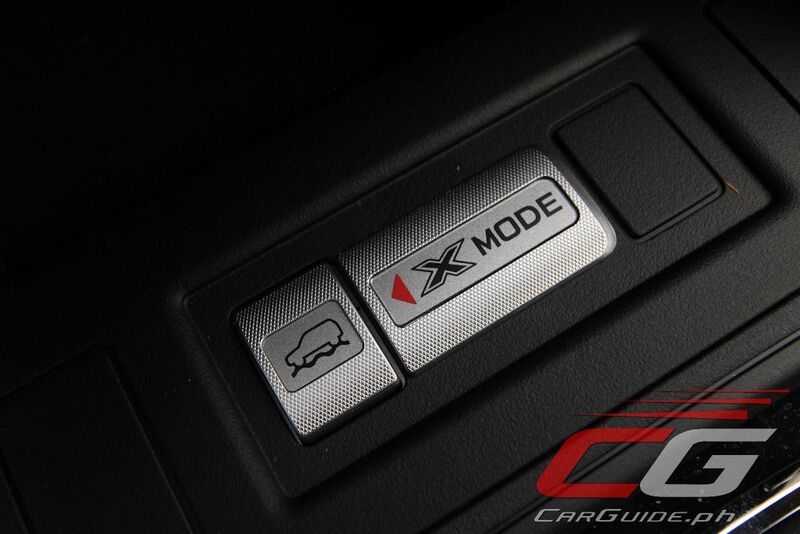 For drivers who engage in spirited driving once in a while, the XT is more than enough car. It feels remarkably quick and planted with good amounts of mechanical grip available. It can be pushed through corners like no other grocery getter can. For those who’re even more enthusiastic drivers, push the Forester a little more and sadly, its limits will show. 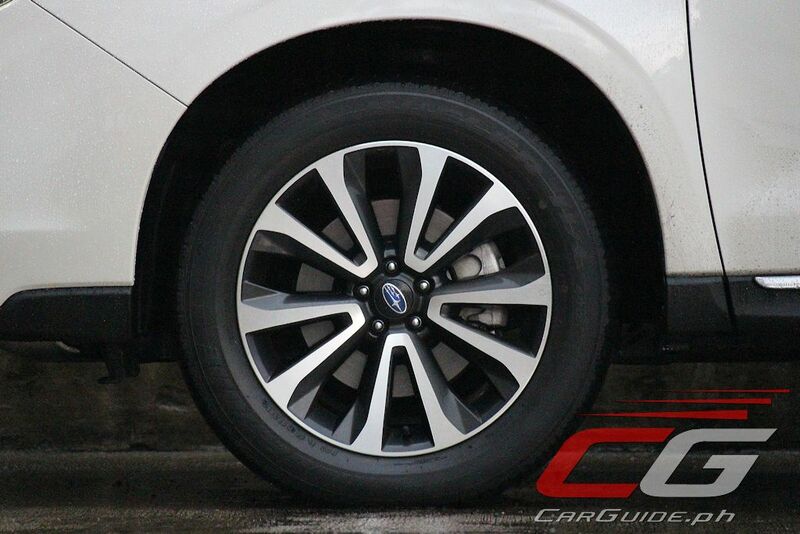 The comfort-tuned suspension results in tipping and swaying with heavy understeer through tighter bends. 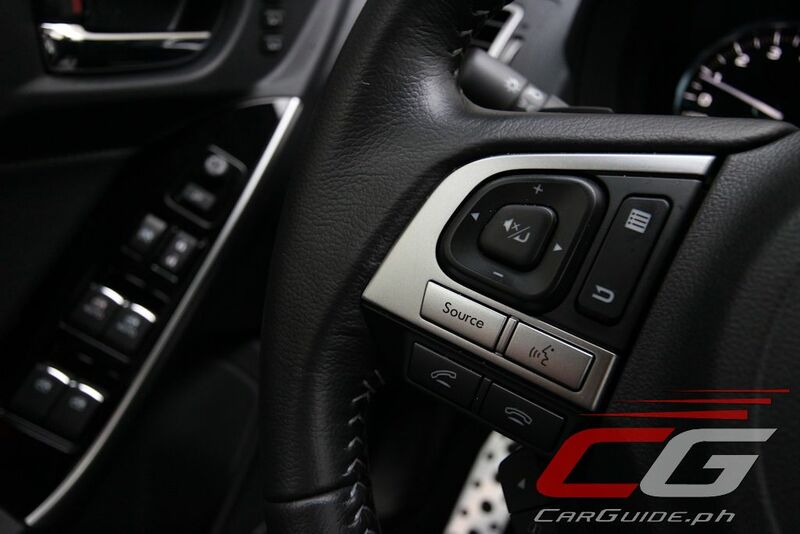 The revised steering does wonders, giving a sportier feel during every day driving. 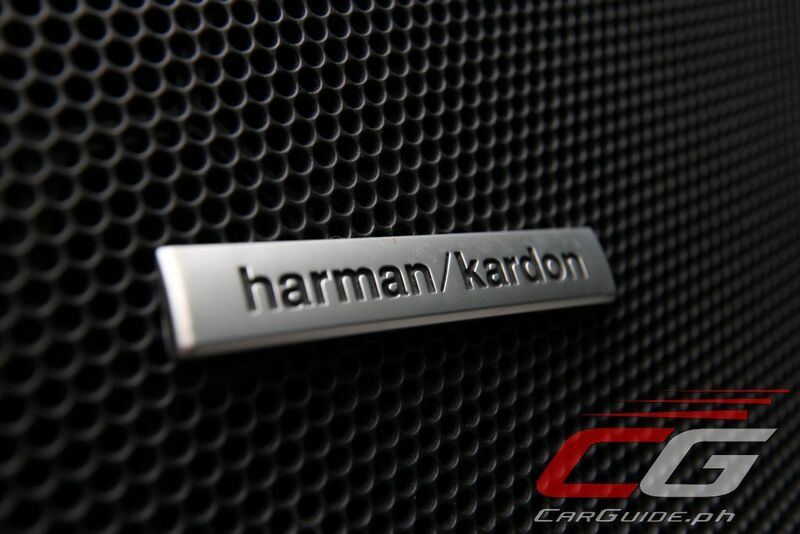 But despite the improved near-center responsiveness, it also doesn’t communicate the limits of the chassis well enough. More than once, steering corrections are required to keep things pointed in the right direction. Mercifully, the brakes are a great ally, with excellent bite and modulation. 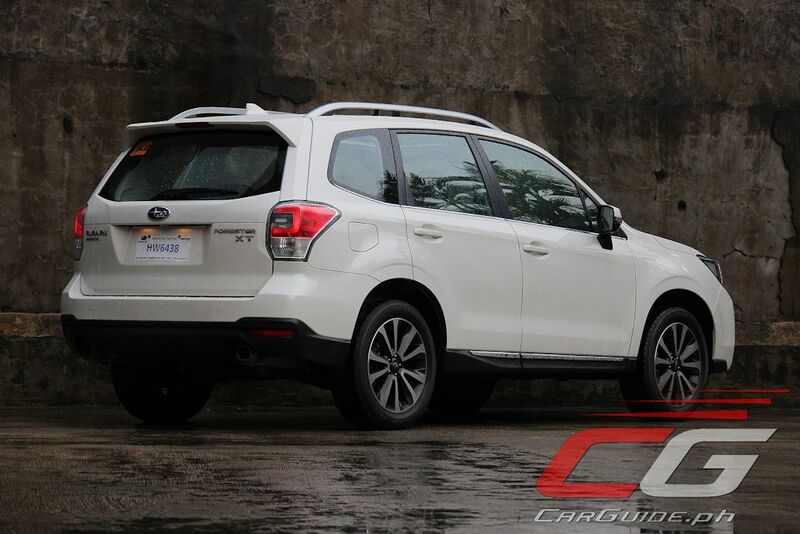 Three years have gone by and the Subaru Forester, even in its top-range XT guise, has begun to lose some of its luster. Chinks have begun appearing in its once impenetrable armor especially in the areas of design, seat comfort, and powertrain refinement. 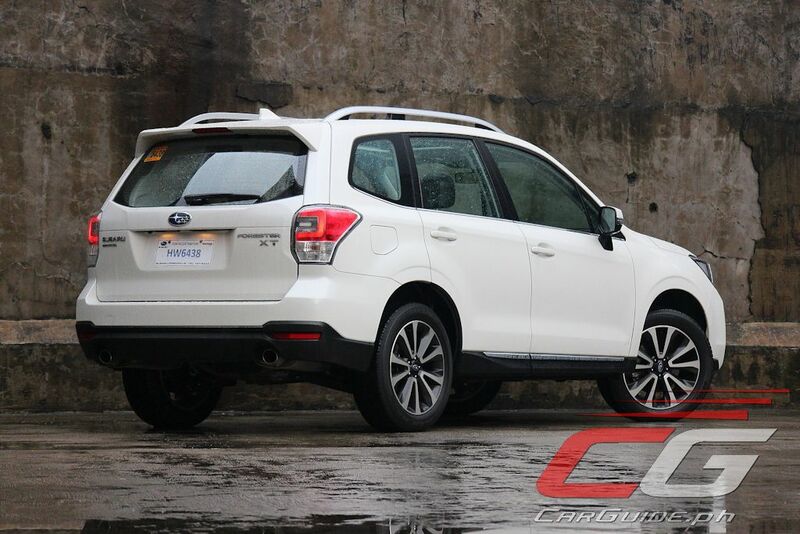 Nonetheless, it still is a solid choice in its class, especially for buyers looking for a sporty, well-balanced crossover. 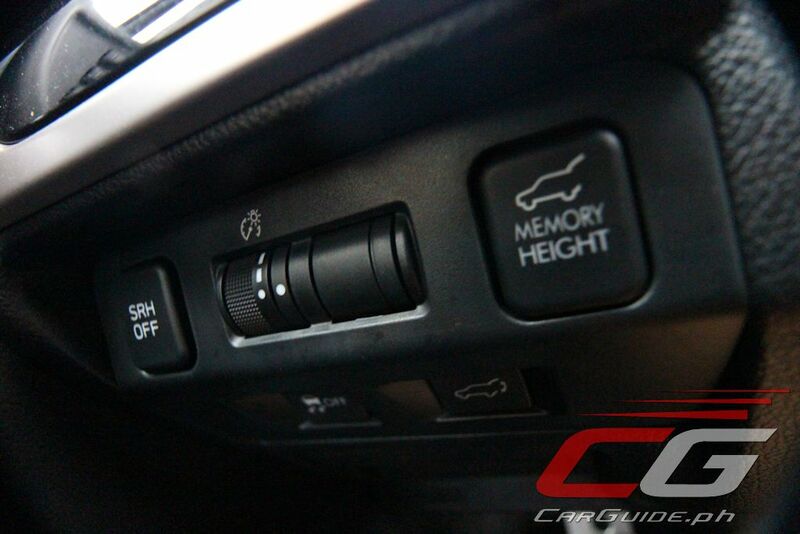 There’s no doubt that Subaru engineers are trying their best to tame the wild child personality of their turbocharged crossover and this is seen in the small details they’ve done here and there. Though it’s not about to graduate charm school just yet, the signs are there and things are still looking good for the purveyors of all-wheel drive. 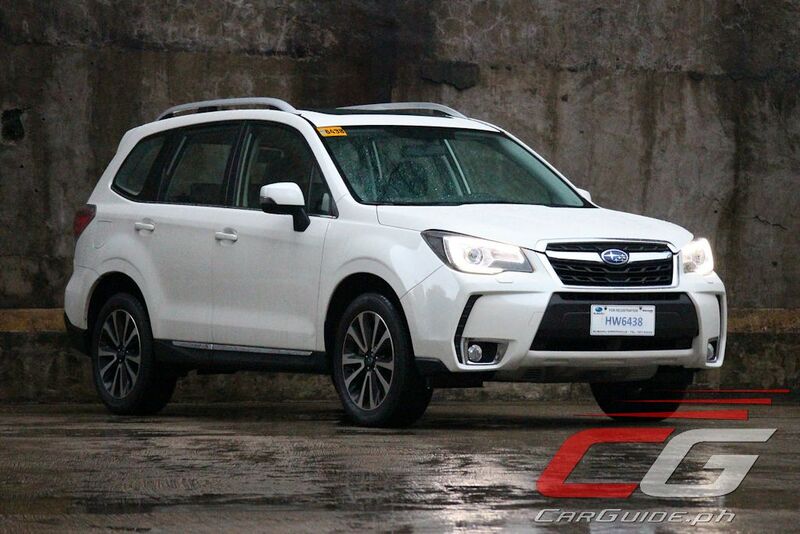 other than the obvious power advantage of the XT, it looks like the 2.0i-Premium is a solid buy corporate Manila types right? 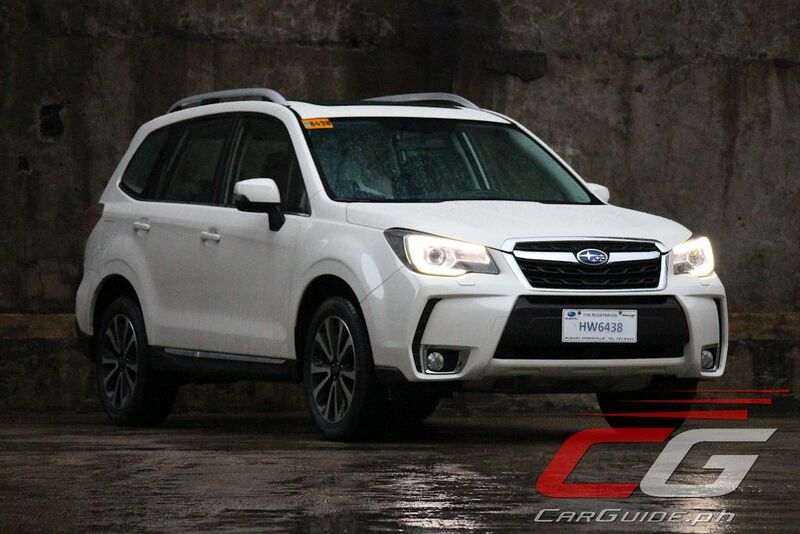 get all the bells and whistles by foregoing the Turbo that you won't really get to enjoy in Manila traffic. If your usual drive includes expressways or tollways, you might as well go with the XT than the 2.0-iL or 2.0-iP variants. 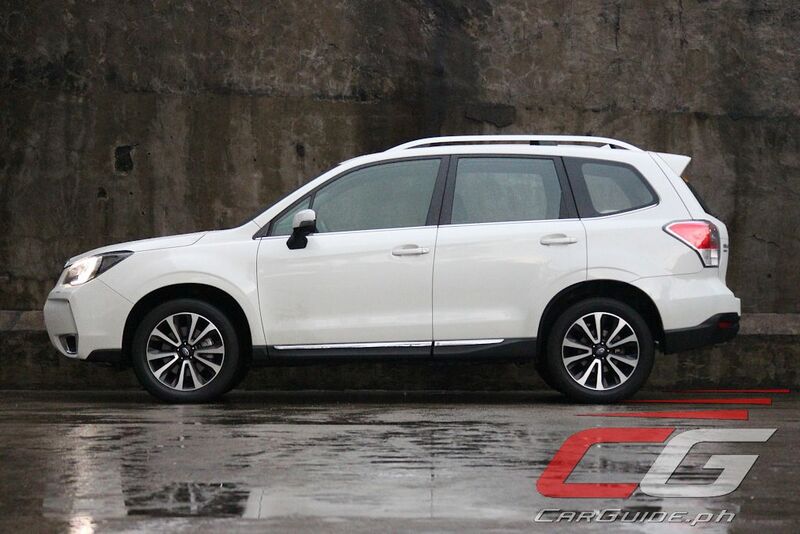 If you're spending that much money on a CUV, you just go the distance and get the most punchy model on the market. 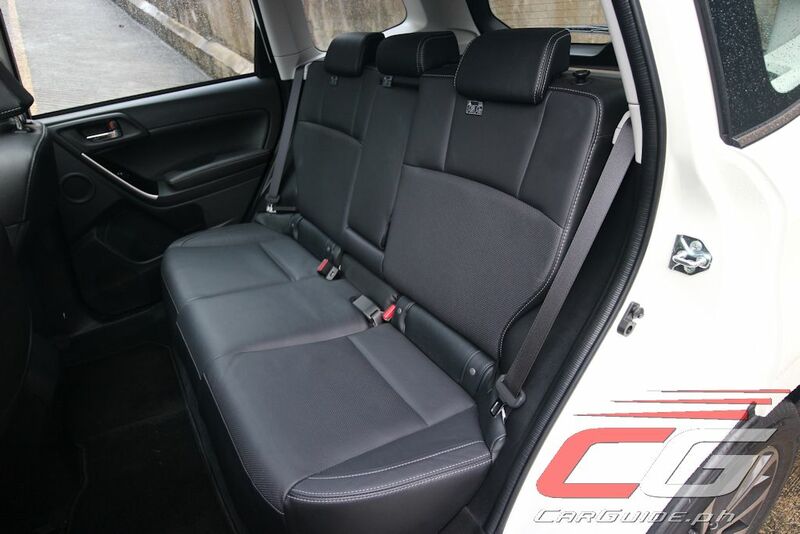 Test drive the XT against the lower trim models and you would know it's not your usual CUV specially when put it on Sport# setting. but subaru is not luxury. Engot. Sinabi na nga na pseudo eh. Hindi niya talaga naintindihan. Ang dali kang naman niyan. Kung di niya alam, google is his friend. one annoying thing about our forester is that center computer display on the dashboard, its always noisy and squeaky. other than that, its a fun car, has that JDM smell, can carve corners here in mindanao and for fuel economy, well its not a thing boxer engines are known for, but the engine is great, almost no vibrations, you can't even tell if the car is on or off especially in the noisy metro. 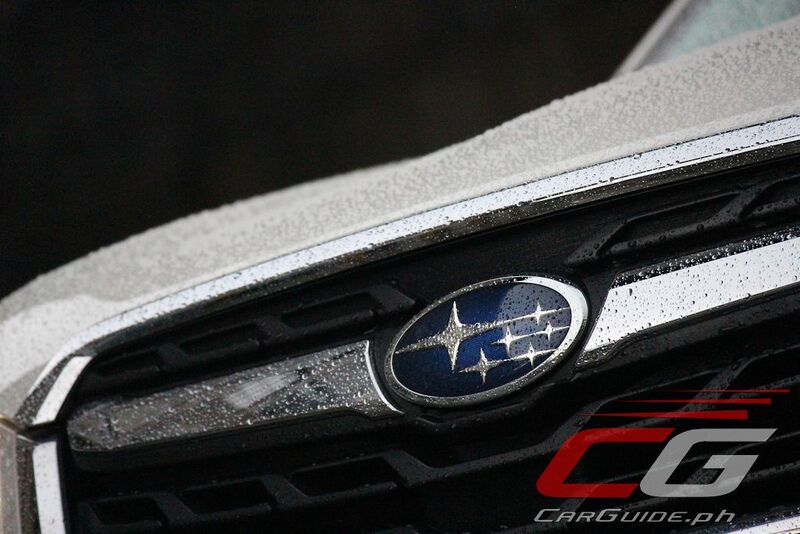 It doesn't have to be snowy in order to enjoy the benefits of AWD. It adds to safety when the road is slippery and wet. OA! Sobra naman yang 20 years ago. Siguro mga 6-7 years ago pero grabe naman 20! Haters around here. Or just being bitter they settled for the more boring CUV's which has all the interior pizzazz but no character or performance heritage to speak of. Hindi naman hater it was my choice at first but after closer inspection, it was really dated compared to the competition if you look past the badge. Bought a CRV instead because the dealership was next to Subaru. The Forester design never boasted of its looks or the small creature comforts. It was designed for utility and usefulness. 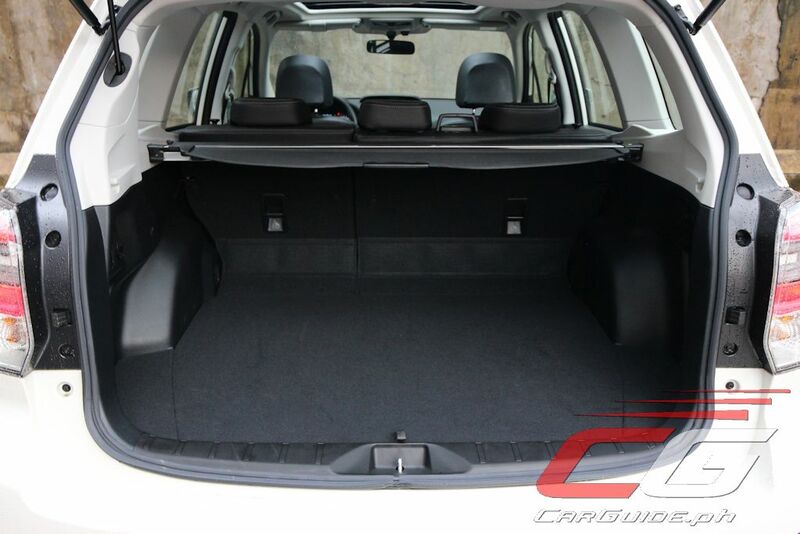 In the case of the Forester XT, performance on top of its usefulness. 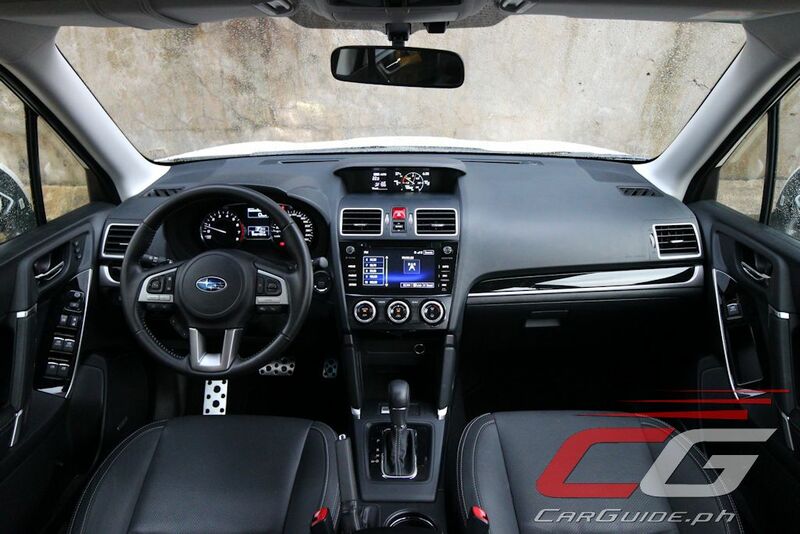 Within its core is the same untamed beast of a WRX but with the capability to ferry people and cargo around. 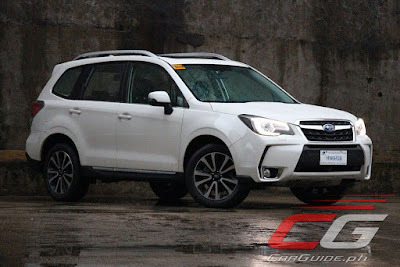 PPV's like the Montero Sport cannot compare to the ride offered by CUVs, nor the outright performance offered by the Forester XT. dont buy a 10 percent car (10%). If you will only use 4WD 10percent of the time then this car's not for you. Better off with a 2WD if you are mostly in city motoring. I was just wondering about that 13.16km/li on 69kph. The best I can achieve is 12.2km/li at 80kph. the 6.94km/li at traffic is realistic. In the case of Subaru, all its vehicles come standard with its AWD system with the exception of the BRZ which is a collaboration with Toyota. 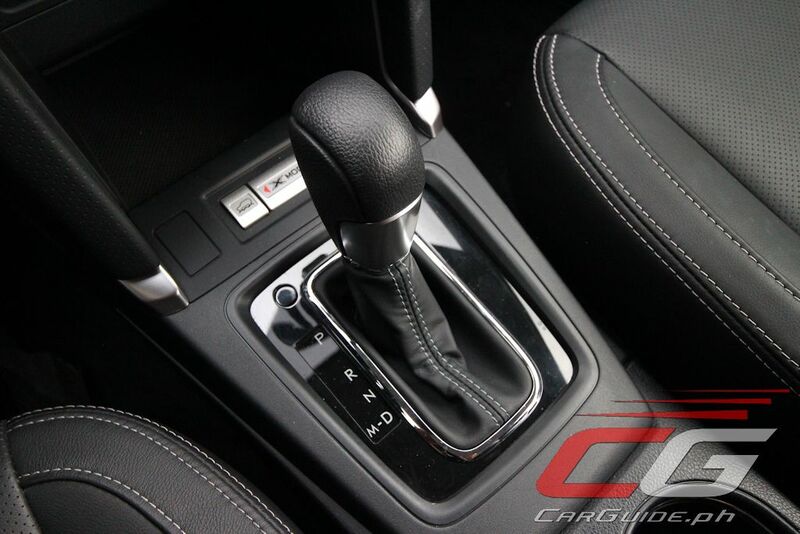 For other manufacturers, it is common for CUVs that the powerful engine option is only available on the AWD model. No need to worry about the 4WD because Subaru basically baked it in, and it IS useful given our less-than-perfect roads and rainy weather. 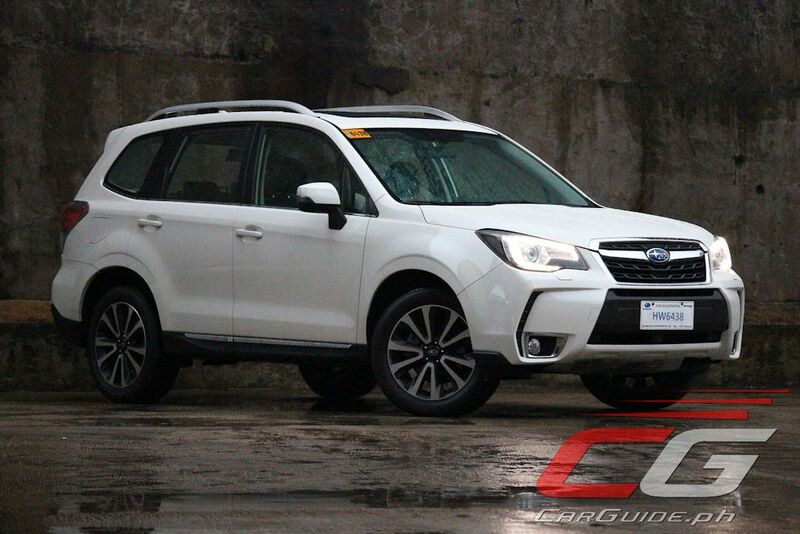 Moreover, the Forester (and even the XV) has a higher height of 8.7 inches compared to any Crossover, which makes it pretty useful given untamed roads or flash floods. Moreover, are you using the XT? I'm using the base model, but I achieve 12.8 km/l with combined driving (SLEX to EDSA). You guys want an affordable crossover with a bigger engine? Get the rav 4 active. It has a 2.5L engine and is 4x2. Its only being sold for 1.2M. Of course it is. It's the base model. It's supposed to be spartan. Dami niyong angal na walang crossover na cheap na malaki ang engine, tapos kapag meron sasabihing spartan. Para kayong mga babae! Ang gulo ninyo! Diesel. It's diesel...It's not about the features or creature comforts. Its about the diesel engine. 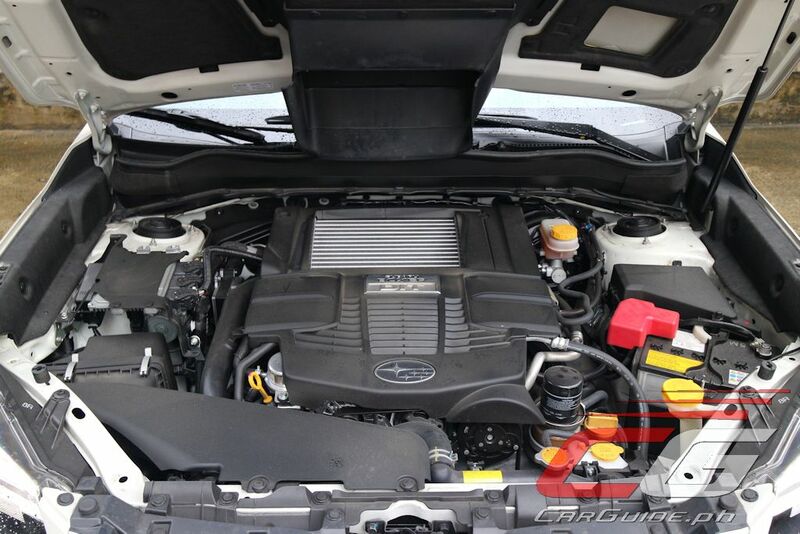 Subaru has yet to make a descent diesel engine. And the AWD thing - the odds of it being put to good use is only 1% of your daily commute. maybe less. There goes your credibility dude. I dont think buying almost a 2 million 5 seater car, fuel economy is your concern. subaru does have a diesel option in other countries, too bad they dont offer it here. high hopes though. also a lot of buyers of these cars are of the younger people. mostly young families. so tech is really one of its selling point here. older families tend to settle down on third world suv's like fortuners, monteros or pickups. We are not talking about PPVs here. Fuel economy might not be a primary concern but you can't beat that proposition in saving 50% of fuel costs at the same amount of power and has better reviews everywhere. The diesel version of the CX5 although pricey exceeds the tech in the Forester. I think there is a pricier version of the Tucson also that has power liftgate and other tech stuff that I don't find important. I know from experience that these unimportant tech stuff will be the first to break down in a car anyway. Wag na kasi mag panggap and just go and get the wrx or sti if you want a fast subie. 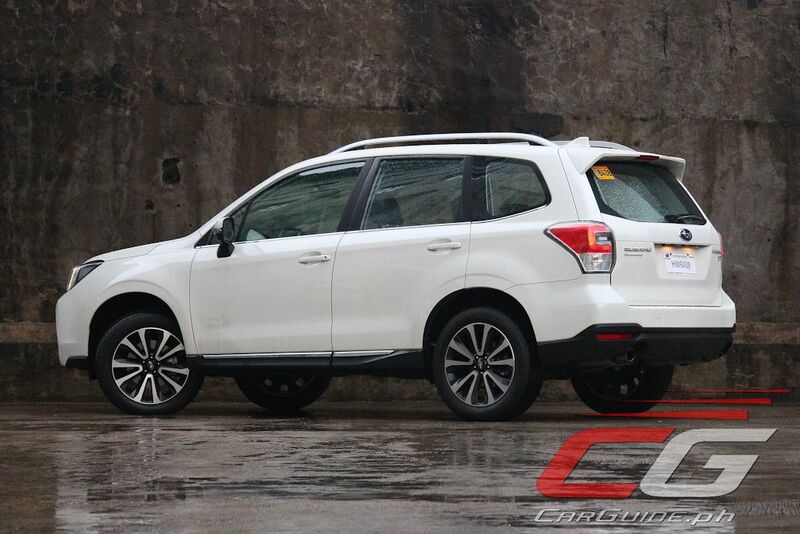 suvs/cuvs are not meant to be driven hard, grocery getter lang Yan or panghatid ng anak. Whats the point of a powerful engine when it drives like a boat. You don't just buy a powerful car to race -- it has safety, practical, and comfort implications as well. And if you don't know what these are, then bata ka nga. I don't get 6.94 km/l even for my 2.0i Forester. And I thought the current model is 10% more fuel efficient than the previous model which gets 5-6 km/l. I only get around 5km/l. Admittedly, I only do short distance city driving, around 4 km from house to the mall, but its not always traffic, just lots of stoplights. 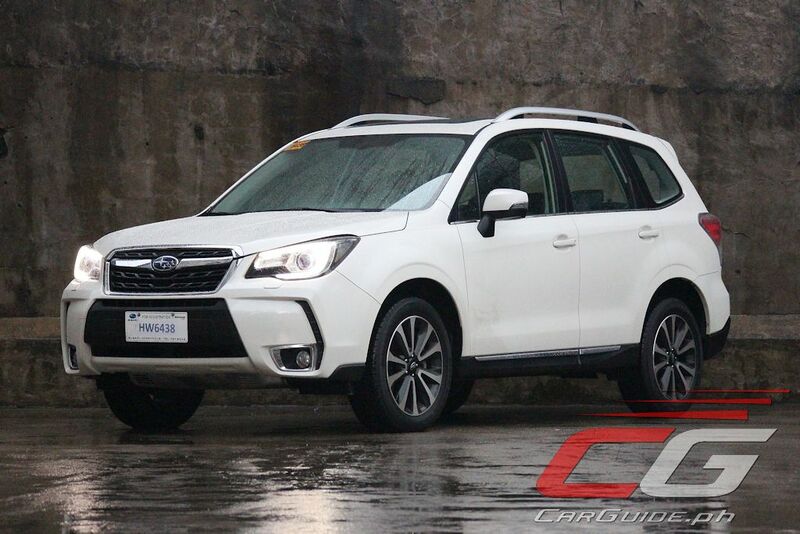 But Subaru is indeed the best value for money out there... CBU Japan, 5 star safety rating (attributable to the advantage of the boxer engine), complete with 7 air bags, traction control, HID, rain sensor, auto headlight, even for the base model (the old base model even have subwoofer, moonroof and power seats). If you drive a lot of km, then maybe getting a diesel engine is justified. But if like me, you only drive say 3,000 km a year, that only amounts to (3000/5*37 - 3000/8*26) Php 12,450 / year. If you are paying 400k premium for a diesel engine like in the CX5(when compared to base model of subaru), the cost saving is not even enough to offset the interest you forego for the 400k even at 5% (Php20,000). Even if you travel 10,000 km a year, that's just Php41,500 savings, which will take 13.5 years to breakeven at 5% interest cost. Ang pangit nitong XT, ang hina at lakas uminom ng gas.... talo eto sa crosswind ko, mas malakas pa sa hatak at tipid pa. Siguradong hindi etong XT makahabol sa crosswind ko! I owned a 2013 XT when it was first launched, and still enjoys every drive till today. For the power it delivers, and the safety features really gives me confidence in driving the people i loved most. Outdated design or high fuel consumption it claims above, can be easily forgiven infact i personally do not felt so. I would still buy another Forester XT when time to change car, and please do not compare any PPV to Forester they are world apart. 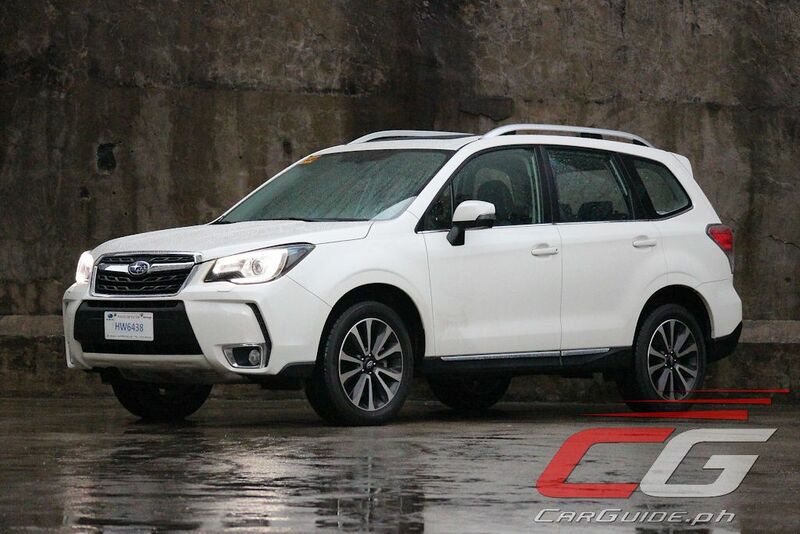 still can't believe that there's a better drive than the cbu japan cr-v we bought few years ago.. having a base model forester now made me think why we didn't explore our options thoroughly back then.. i can't say this enough, the driving experience in a subaru is indeed way different than the cr-v.. the build quality and the ergonomics of the vehicle just stands out.. one really needs to drive it to understand, the seemingly plus points we often see in the spec sheets prods us to make hasty decisions and overlook the brand, that's what happened to us back then - until i drove the forester. 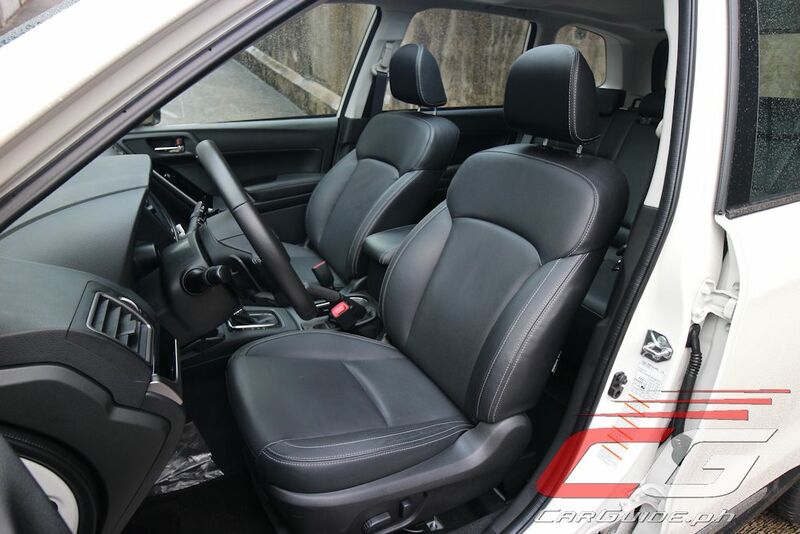 Try driving a Mazda CX-5, it is a better drive than the Forester,but the Forester has more interior space. subaru is a good car, have a forester myself. the only thing is the parts are sooooooo expensive.will probably go for toyota or Honda next time.